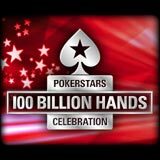 PokerStars 100 Billion Hands Celebration will start in June 2013, there will be $5 million in prizes to be won leading up to the 100 Billionth hand dealt. Players seated at the PokerStars table when the 100 Billionth hand is dealt will all win their share of a million dollars in cash. PokerStars Road to 100 Billion hands has been running since PokerStars started operating as an online poker room in 2001. 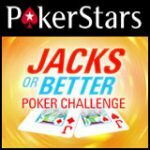 PokerStars have nearly reached their goal, be part of history by playing on the PokerStars tables this June. 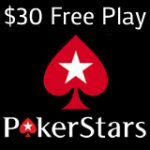 Players get a 100% first deposit bonus up $600 when making a first deposit at PokerStars. The PokerStars SCOOP series takes place this May with more than $40 million in guaranteed prize pools. 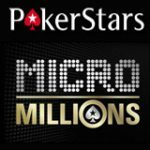 There is $5 million up for grabs in the PokerStars 100 Billion Hands Celebration which runs in June, to qualify for prizes players must be seated at the Ring games tables when a milestone hand is about to be hit. There is a million dollars to be won for all the players who are dealt into the 100 Billionth Hand, the winner of the hand will get more than $100,000. Promotions will be added in June with all the details on prizes and how to win. PokerStars are expecting to giveaway more than $5 million in June leading up to the final hand. 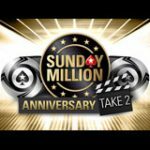 $2 Million - prizes for milestone hands including a million for the table dealt the 100 billion hand. 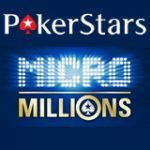 $3 Million - special promotions for players to celebrate PokerStars achievement. Special promotions will include new PokerStars tournaments, SNG games and other promotions are to be announced soon. 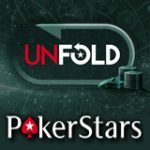 The amount of hands dealt will be shown in the PokerStars lobby to help players keep track, make sure you are seated at the cash game tables whenever a milestone hand is about to be dealt. There is a million to be won for all the milestone hands and an additional million for the Mega Milestone - 100 Billion hand. The Road to 100 Billion has been an epic journey for PokerStars offering promotions and cash with every milestone poker hand since opening their doors in 2001.